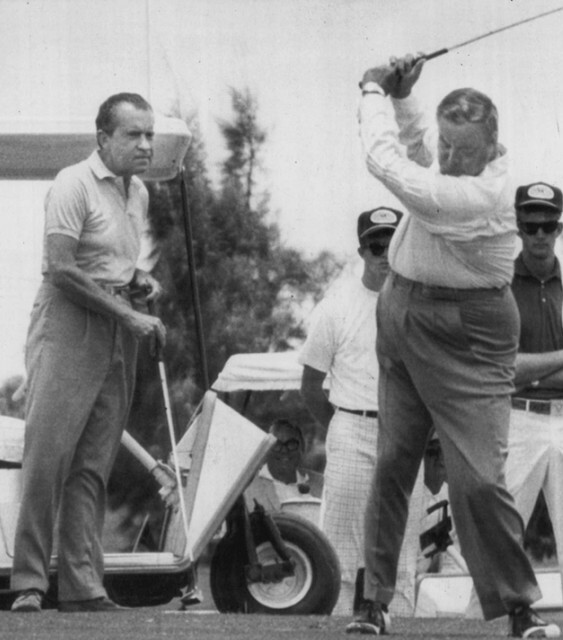 Richard Nixon golfing with Jackie Gleason- Miami Beach 1969. I’m a writer and an educator, I can’t afford to go to Mar-A-Lago. I’ve spent the last seven years of my life teaching college English to soldiers and veterans at MacDill Airforce Base and organizing community writing classes and literary arts events, so obviously I am not rich or important enough to be allowed inside President Trump’s Palm Beach resort. They save that sort of privilege for hedge fund managers, weapons manufacturers, and international oligarchs, you know, those real down-to-earth Americans the President says he likes so much—not urban coastal elite academic nerds like myself. Since I’m not allowed in Mar-A-Lago, I’ve put together a list of some of the other, more legitimately presidential, places to visit in Florida. 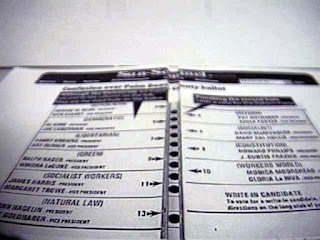 One of the infamous Palm Beach County 'Butterfly Ballots' from the 2000 Election. For about a decade I couldn’t tell anyone I was from Florida without them mentioning the 2000 election, usually with a sneer in their voice. Everything hinged on Florida, and when the counting stopped, George W. Bush had won Florida by only 537 votes. That tiny sliver of a margin resulted in a storm of recounts, controversies, butterfly ballots, hanging chads, and a supreme court case. While the madness of this moment engulfed most of the state, there are some specific places with especially dramatic history- or relics of that strange moment. The 19th floor of Miami’s Stephen P. Clark Government Center was the site of the infamous Brooks Brothers Riot- where paid GOP operatives stormed into government offices to disrupt had recounts of 11,000 ballots that were not correctly read by vote counting machines. Hundreds of people, many of them Republican Party staffers and consultants blocked hallways, pounded on doors, physically assaulted government officials, and kept out official recount observers and members of the press. 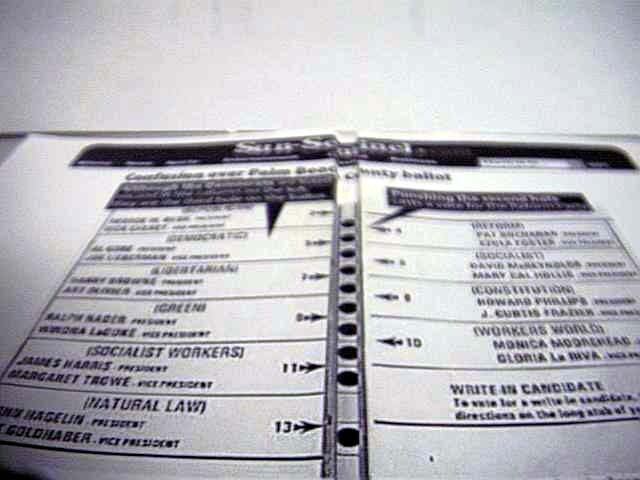 The Tampa Bay History Center keeps a display case of relics from that disputed election- including one of the famously confusing Palm Beach County ‘Butterfly Ballots’ (That, according to the American Political Science Review cost Al Gore the election), a suitcase-style voting booth, and some of the infamous ‘chads’ the paper tab remnants of punch-card ballots. The Center also displays a large wood and papier-mache puppet of Mitt Romney that was used during protests at the 2012 Republican National Convention. 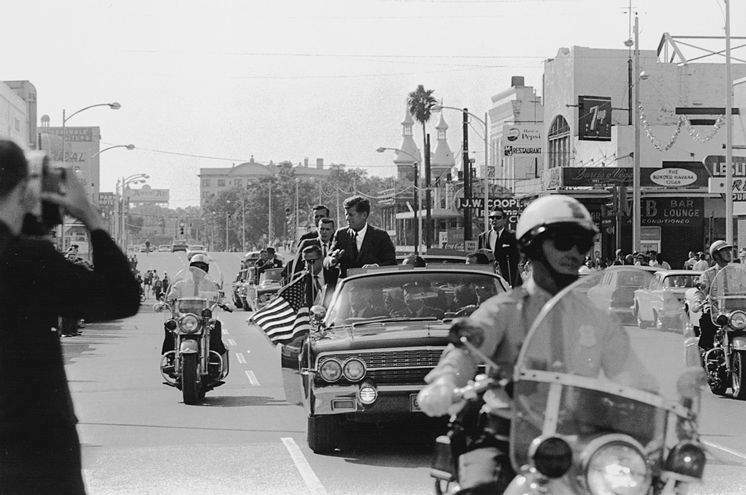 John Kennedy in Tampa, four days before he was assassinated in Dallas. Near Palm Beach, you can visit one of the most chilling relics of the Kennedy era. In the days before the Cuban Missile Crisis, the U.S. Navy built a presidential fallout shelter on Peanut Island, an 88-acres man-made island off Florida’s Atlantic coast. The idea was, that in the case of a full-scale nuclear war, Peanut Island would serve as the home and command center of whatever remained of the executive branch of the U.S. Government. Kennedy visited the bunker multiple times during disaster drills, and Kennedy and his cabinet members used to hold meetings in the area on JFK’s yacht, the Honey Fitz. The bunker remained secret until 1990, when it opened as part of the Palm Beach Maritime Museum. Before Air Force One, presidents travelled primarily by railroad, often in luxurious specially designed rail cars. One of these presidential cars, known as the Ferdinand Magellan, sits in a museum in Miami. Beginning as a standard luxury Pullman railcar, the Magellan was modified to be used by Franklin Roosevelt near the beginning of U.S. involvement in World War II. It was equipped with bullet-resistant glass, armor plating, bank-vault doors, secret escape hatches, air conditioning, multiple telephones, and a wheelchair lift. From 1943 until 1954, the Magellan was used by presidents Roosevelt, Truman, and Eisenhower as their primary means of travelling throughout the country, and Truman gave his famous ‘whistle stop’ campaign speeches from the rear of the presidential railcar. The car was acquired by the Gold Coast Railroad museum in 1958 and has been on display since—except for a few days in 1984, when the Ferdinand Magellan was briefly loaned to Ronald Reagan for a series of campaign events in Ohio. 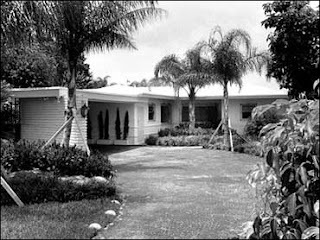 Nixon's Winter White House on Key Biscayne. 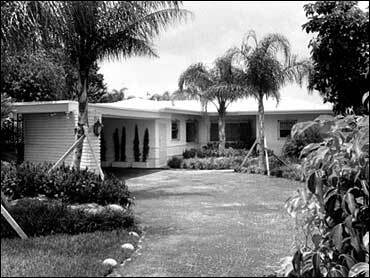 Nixon’s so-called Winter White House was an unassuming 1950’s ranch-style home in the Key Biscayne Suburb of Miami. Nixon visited Key Biscayne over 50 times during his time in office, often arriving by helicopter under cover of darkness. 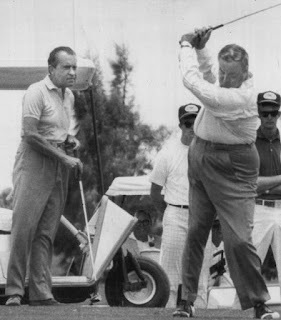 Nixon spent his time in Florida fishing, golfing (and discussing UFO’s) with Jackie Gleason, and eating and drinking (always good wine, sometimes heavily) at Joe’s Stone Crab. This house was where, supposedly, the plans to for the Watergate Break-in were originally hatched, and where Nixon disappeared to as the Watergate scandal heated up and eventually ending his presidency. Unfortunately, Nixon’s historic Florida residence was demolished in 2004, to be replaced by a modern McMansion. Though the house is gone, you can still eat and drink like Nixon at Joe's Stone Crab on in South Beach. I can’t afford to go to Mar-A-Lago, and I would probably be immediately ejected, and possibly 'disappeared' if I showed up, but Florida’s complicated history with the U.S. Presidency makes for some other, probably much more pleasant and educational experiences.